A Safety Moment is, well a moment where you just stop what you are doing and take a moment to think or talk about a safety issue. Whether it be at work or in your personal life a safety moment makes you Stop, Think and then Act instead of first act and then have to stop because something (unexpected) happened. What is the purpose of a safety moment? They help prevent accidents happen. Beside the fact that accidents can cause personal injury or even casualties, accidents can also cause environmental damage and even capital loss. From a business point of view accidents are unnecessary and bad for business. Accidents can happen for a variety of reasons but they always come unexpected. No matter how you express the consequences of accidents (number of injuries, casualities, environmental damage, image, etc), the final result is that accidents cost money. How is that good for business? Use Safety Moments to prevent accidents. Use a safety moment to demonstrate that you care about your people (and their families), that you care about the environment. Nothing is worth it if it is not sustainable. At work Safety Moments can be used at the beginning of a meeting to create awareness. Many companies start their meetings with a Safety Moment. One member of the team addresses in a few minutes a safety topic which is applicable or typical for their work situation. It could be a personal experience at work, it could be a new safety related procedure that is introduced at work, it could be an event that happened at another company which could just as easily happen at their work place. You could of course send your employees safety moments by email but it does not have the same effect as somebody talking at the beginning of the meeting. Especially when that person experience the problem in real life. It takes only a few minutes to discuss a topic but it makes everybody in the room aware of the importance of safety. It makes everybody aware that we come to work to earn money for our families and at the end of the day we want to go home back to our families. But that can only happen if we work safely. When to discuss a Safety Moment? Safety Moments can be discussed/addressed in two ways. They can be addressed before a larger meeting starts. For example you have a project progress meeting with the team and before you start the meeting one person delivers a Safety Moment. Second of all Safety Moments are extremely useful (i.e., they help prevent accidents on the spot) when addressed just before a work activity is suppose to start. Lets say you are going to start a maintenance job. Before the maintenance job starts you discuss “The importance of electrically isolating the equipment”. How to discuss a Safety Moment? A Safety Moment should be a short talk about a relevant situation at work that if not done safely can lead to an accident. Safety moments should be to the point, explain the problem, give an example, and then the solution. Don’t talk generic safety. Don’t say for example “We should all behave safe at work”. Make it a very specific, to the point topic. For example “When you enter the factory floor always where your safety glasses”. Safety moments should also be relevant. Keep the topic close to your work situations. What is relevant might not always be expected. For example for a job in the desert the project management explained “Take enough water with you and drink regularly to avoid dehydration” . This is very relevant, no matter what kind of job you carry out in the desert. Make sure to keep the moment short. A Safety Moment should be 2-5 minutes but not much longer. Don’t make it a speech. 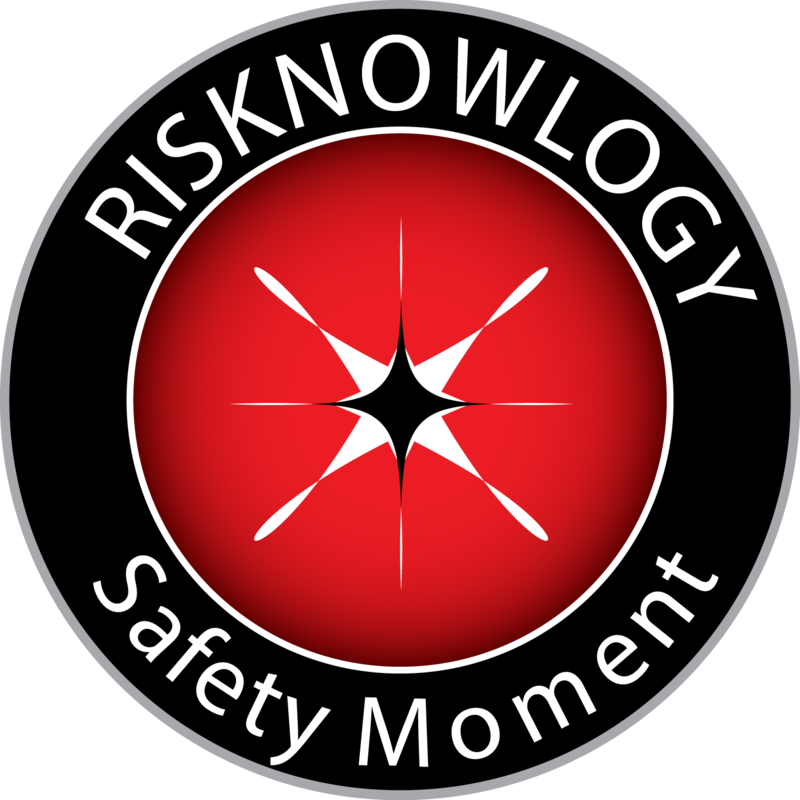 Risknowlogy will document Safety Moments on their blog. You are free to use them and share them. As long as you create awareness about safety we are happy. You are responsible for your own safety but you can only be truly safe if everybody acts safe. At Risknowlogy safety is team work, we belief it is everybody’s business.